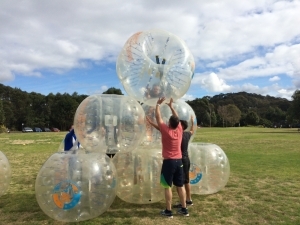 One of the sports activities that have become pretty popular in the recent years is bubble soccer. 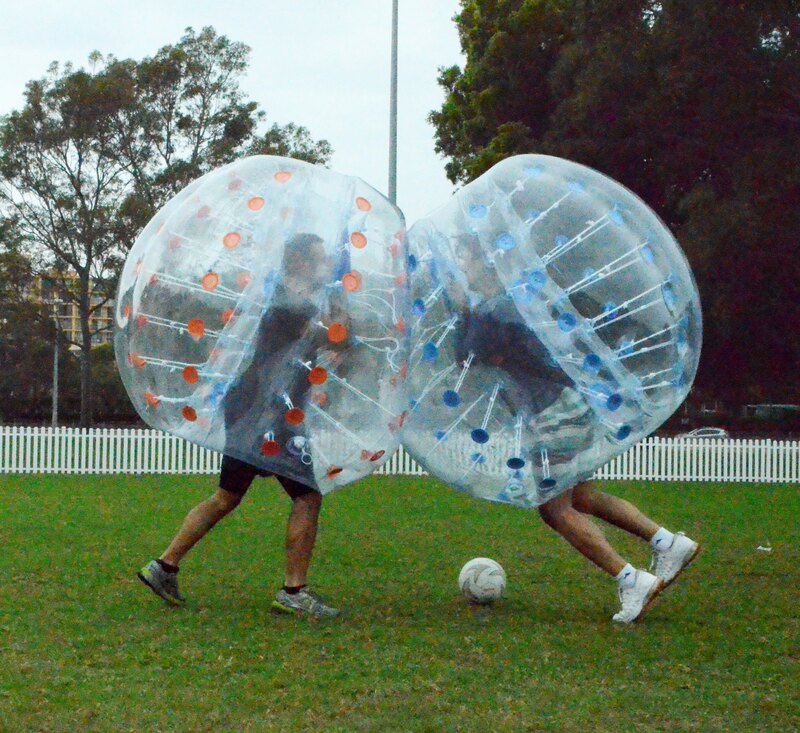 This game requires the players to be enclosed in an inflated bubble ball while playing soccer. This bubble ball covers the head and the upper body of the player. This sport is usually played in sprawling halls. It is the life of special events like stag parties, bachelor parties and the birthdays as well. Bubble soccer was invented way back in 2011 in Norway. The people who came up with the idea of this game were Johan Golden and Henrik Elevestad. The interesting part is that these guys never knew that they would become the pioneer of such an interesting game. Well, this game was able to make its first appearance on the TV show Golden Goal. However, it did not reach the UK right away. Some of the entrepreneurs made a sincere attempt to make this sport popular in the UK but they were turned down by many of the investors who felt that this game had no future in the UK. What changed the scenario was that these entrepreneurs were persistent and did not give up. These entrepreneurs decide to gather finances to launch this sport on their own. This sport made its way to the United States of America in 2014 and there was no turning back ever since. Bubble soccer also became the ultimate sensation on the internet in 2014. It all started off when a video of a Bubble Soccer operator in Algund was released on the internet. When the people saw this video they were extremely amused by this sport. The video got millions of searches. The reason is that the bubble suit gives this exciting twist to the game that is surely an out of the box idea. When this game started in the United States, the players faced many issues. Since this game was something new, the availability of quality equipment was limited. There was a lack of industry standards that contributed to the failure of the operators. Secondly, this sport did not have any well-defined rules and lacked insurers as well. 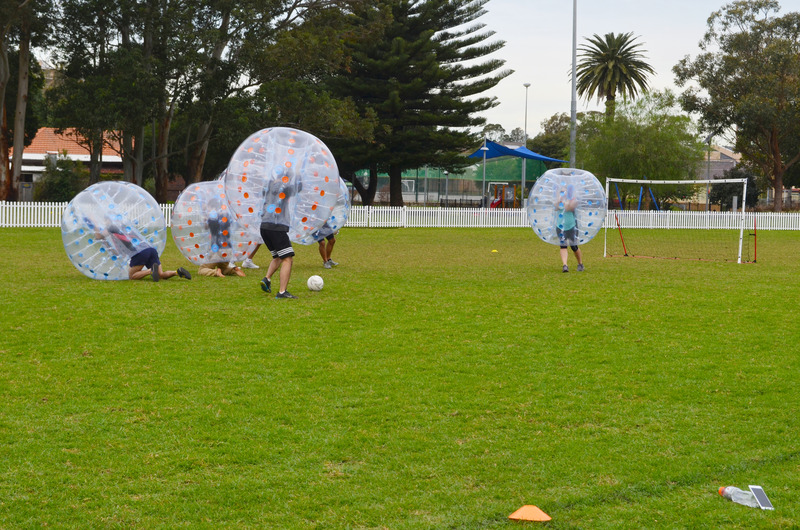 National Association of Bubble Soccer emerged way back in 2014 to address these issues. With the emergence of National Association of Bubble Soccer things changed drastically. The affiliates did not face any issue in building their business around the sport because the quality equipment was made available for the players. This sport follows the standard rules of soccer. However, it does allow full contact. When people play bubble soccer, then a group stands at one end of the pitch. Another player is made to stand at another end of the pitch. It is the responsibility of this player to run and at the same time dive at the group. He tries to knock down as many members of the group as possible. The popularity of this game has now reached its prime peak. It is expected that the Bubble Soccer World Cup will take place in 2018 in Shoreditch London. The final is supposed to take place at Wembley. The World Cup has a huge list of participants. This includes Spain, Portugal, Brazil and Finland as well. People have a lot of expectations associated with this event and apparently, it seems that this event is going to be a huge success by all means for sure. 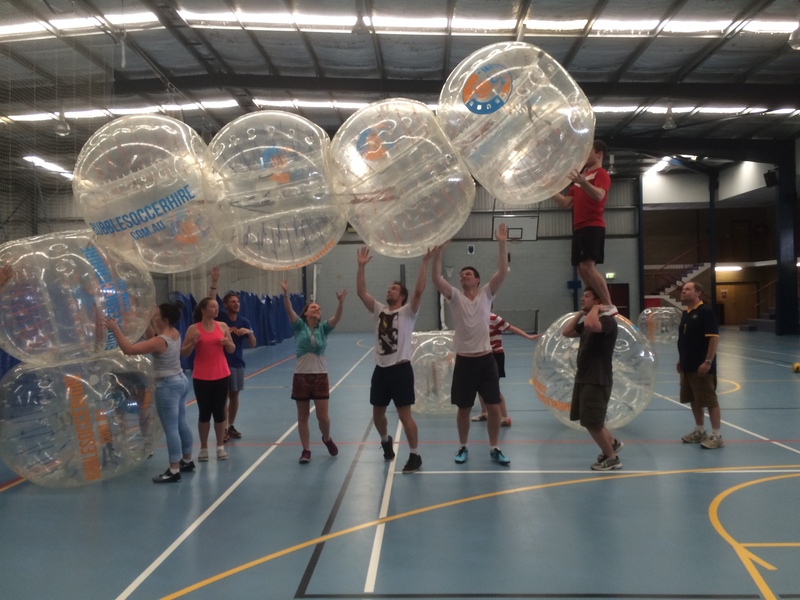 BubbSoc is a bubble soccer company operating in Sydney, Melbourne and Brisbane. If you have any questions or need to organise this amazing sport for your next event, feel free to get in touch with us! You can reach us by calling 0423074787 or filling out the form.